The Fed Oversight Reform and Modernization (FORM) Act was passed by Congress last November and now awaits action by the Senate. The Act requires the Federal Reserve to identify a “policy instrument” and then specify a “policy instrument target.” Although the Act allows some latitude for the Fed to choose definitions for those terms, traditional implementation of monetary policy would make the federal funds rate the policy instrument and a desired value for the funds rate the instrument target. The Act then describes a “Reference Policy Rule,” which specifies a formula for calculating a value for the federal funds rate based on deviations between actual and potential real GDP (the output gap) as well as deviations between actual inflation and the Fed’s target of two percent. Many readers will recognize this as a version of the well-known Taylor Rule. Finally, the Act requires the value of the funds rate calculated by this formula to be compared to the value generated by a “Directive Policy Rule,” the particular rule chosen by the Fed to guide its implementation of monetary policy. A monetary policy rule of this type embodies many desirable features. The rule is transparent because it states an explicit formula describing how the Fed sets its funds rate target as well as a reference value against which it can be compared; this is in contrast to current operating procedures whereby the Federal Open Market Committee (FOMC) sets a target for the funds rate but tells the public little about how that target is chosen. In short, an explicit rule helps Congress and the public to monitor the course of monetary policy. Moreover, the rule constrains the Fed’s ability to pursue goals, such as stabilizing long-term bond or equity prices, which are sometimes mentioned by policymakers but are not included in the rule. The Fed still might exercise discretion when taking policy actions but, if its choices cause the funds rate to deviate from the values implied by the Directive or Reference Rules, the Fed Chair would be compelled to explain to Congress why the deviations occurred. Despite these desirable features, the FORM Act omits an important component of any legislation designed to exercise oversight of a policy institution: a standard by which the Fed’s performance will be evaluated. From one perspective, the Act tries to do this by monitoring how the observed funds rate, set by the Fed’s Directive Rule, compares to the value calculated with the Reference Rule. Thus, as the Act is written, the Fed will be judged as performing well if those two values are in alignment. But suppose the Fed adheres closely to the Reference Rule and still delivers poor economic outcomes – what happens then? This question is important because some research has indicated that the success or failure of a Taylor Rule can be sensitive to the accuracy of data possessed by the FOMC at the time its policy decisions are made. In particular, a 2002 paper by Athanasios Orphanides shows that the path for the funds rate generated by a Taylor Rule bears a striking resemblance to the path of the actual funds rate during the high inflation era of the 1970s when “real-time” data for the output gap – that is, initial estimates of the output gap available to the Fed when it undertook its policy decisions – are used in place of revised estimates constructed years later. The general conclusion of this research is that policy rules like those outlined in the FORM Act can still produce inferior results if the data available to the Fed are measured with error. Curiously, therefore, the FORM Act might make Congress – not the Fed – to blame for any failure in keeping inflation under control. So long as the FOMC follows an “instrument rule” of the kind prescribed by the Act, the Fed Chair can always appeal to that rule in defense of actions that generated excessive inflation. Indeed, the Chair could go further, and describe high inflation as an unintended by-product of efforts by the Fed, operating under an instrument rule, to produce faster rates of economic growth or higher levels of employment, as prescribed by the “dual mandate” given in the Federal Reserve Act itself. Thus, while the FORM Act would almost certainly succeed in making monetary policy more transparent and predictable, it could fall short in holding the Fed – and Congress – accountable for decisions that lead to suboptimal economic performance. By itself, the Act is no substitute for legislation that resolves tensions and ambiguities stemming from the dual mandate by providing clearer priorities over the potentially conflicting goals of price stability and maximum employment and by specifying how policymakers will be judged in their attempts to meet those goals. 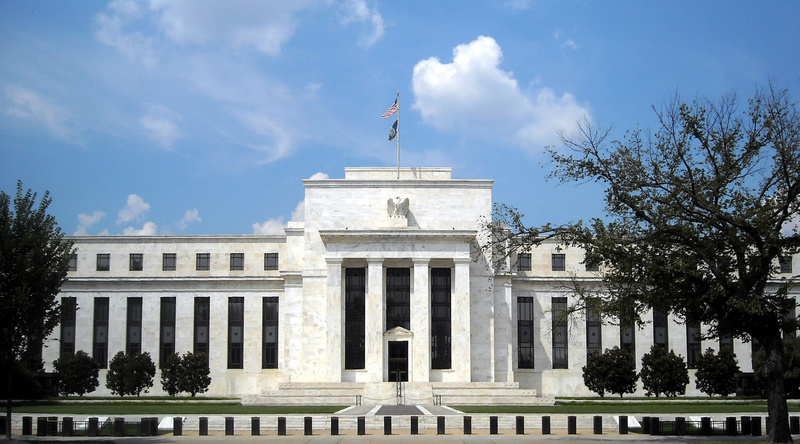 The Federal Reserve needs a clearer mandate in addition to new rules.